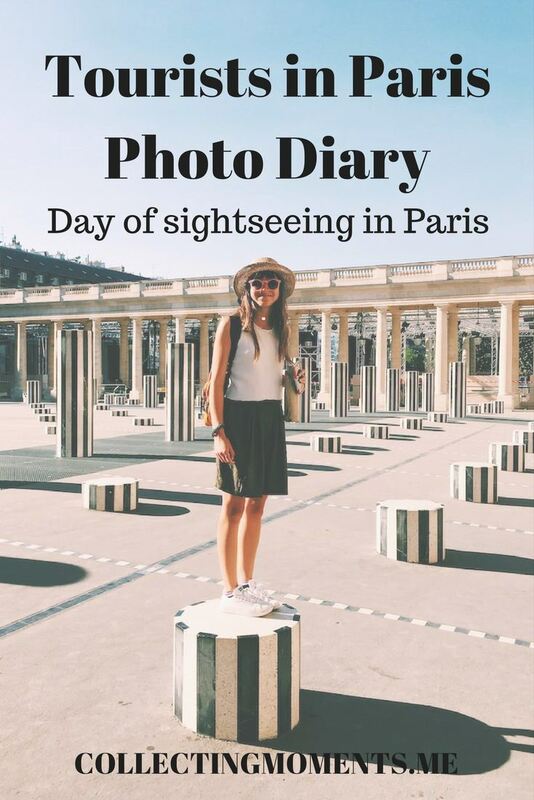 After spending a weekend exploring the neighborhoods of Paris (Le Marais & St-Germain) we headed for what you kinda have to do when visiting such a city: sightseeing! We started off our morning enjoying some breakfast at the Eiffel Tower. Yep, you heard that right! We were so worried about having to wait in a long line that we hurried to la Tour Eiffel without eating! Lol - but guess what?? There was absolutely no wait to get in! So, with the extra time on our hands (+ the good breakfast deal the cafe has) we ate our first meal of the day there!! After breakfast, we walked around taking photos, made it to the top and back and finally decided it was time to leave the tower. Conveniently located right in front of the Eiffel Tower, next came Trocadéro! It was still kind of early and it was surprisingly empty, so we snagged a couple of photos and moved on to our next adventure. This was one of the few times we actually rode the metro to get to the Champs-Élysée faster! Once we made it to the famous Champs-Élysées, we walked around, checked out the stores and headed over to Dynamo! (French version of SoulCycle) so I could try the studio and cycle all my calories away! Lol. To read my review and experience at the studio check out this post. After sweating it out for 45mins and taking a shower :) we headed for lunch. Now, I’m not gonna lie to you guys, we had initially said we would find something quick, easy and healthy….but the moment we saw the modern & sleek McDonald’s, we couldn’t resist! We went in and ordered some delicious fried chicken sandwich combos from the automated screen with a side of Heineken beer for drinks all for 5€/each! Lol - so yeah. That happened. Moving on. After eating European McDonald’s, we made our way to the Arc De Triomphe. That’s right, we went to a mall, but not just any mall- a luxurious Parisian mall. (Man the French really know how to do it!) This place was filled with high-end brands and mostly things we couldn’t afford, but it was totally worth making it out there and seeing the building. After daydreaming of all the wonderful and expensive items at Galeries Lafayette, we walked down to the Palais Royal, strolled to the Jardin du Palais Royal, snapped a photo and moved on to our end destination - dinner at Daroco. It was everything. Finally, to end the crazy day of sightseeing and walking, we walked all the way back to Le Marais (to my aunt’s place) along the Seine, showered and got ready for the night’s festivities: Crazy Horse! This is by far one of the best purchases and experiences we had on our Paris trip, and I highly recommend splurging for it! Crazy Horse is a French Cabaret. It is truly remarkable to see all the effort and planning that goes into this show! The dances, music, lighting and overall performances were elegant, sensual and outstanding.